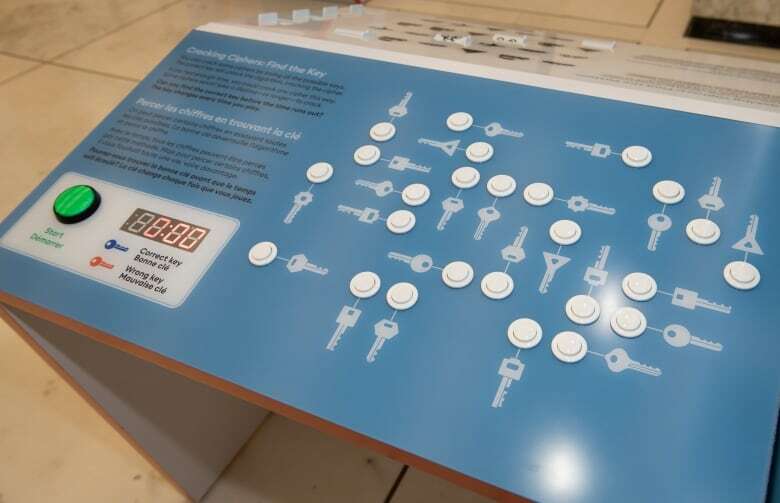 A new exhibit by the Canada Science and Technology Museum, in partnership with the Canadian government's national cryptology agency, is all about demystifying the secretive world of encryption and cybersecurity. Cipher-Decipher is currently being shown at Library and Archives Canada, before moving to the museum in November and then on to Kingston, Ont. According to Molly McCullough, who helped create the exhibition, it not only explores the past and present of communications cryptology, but does so with a high degree of interactivity. "This exhibition is designed to make a complicated subject really accessible to Canadians, and to make it interesting and fun as well," said McCullough, assistant curator for the Ingenium consortium of museums that includes the Canada Science and Technology Museum. "We jump between older examples, Second World War, Cold War, and more contemporary uses of encryption, whether it's home WiFi and personal email. We also go beyond encryption and cyber security to talk about some of the other risks we face in our day-to-day lives." As part of the exhibition — produced with the help of the federal Communications Security Establishment (CSE) — you can test your cyber smarts to find out how safe your personal information is online. 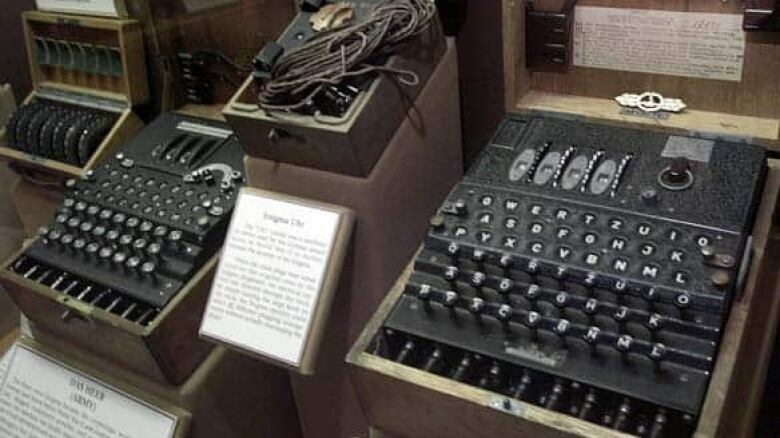 The exhibition features an authentic Enigma cipher machine, borrowed from the CSE's collection and popularized by the movie The Imitation Game. The film tells the story of Alan Turing and other code breakers who successfully cracked the Enigma at Bletchley Park in England. "This machine is so complicated, so difficult to understand, so difficult to crack — which is why it was such a big deal. And we wanted to help visitors understand how it works," said McCullough. "We have a computer version of it that slows down the whole process, so visitors can input their own message and watch as the letter they put in goes through the machine and becomes another letter." You can also try your hand at logic puzzles and games as part of the exhibition. Who knows, McCullough said — you might learn that you have what it takes to work in the field of cryptology. Cipher-Decipher will be at Library and Archives Canada until Oct. 31. The exhibit moves to the Canada Science and Technology Museum from Nov. 6-25. Then it heads to Kingston, where it will be on display at the Military Communications and Electronics Museum from Dec. 7 to March 31, 2019.